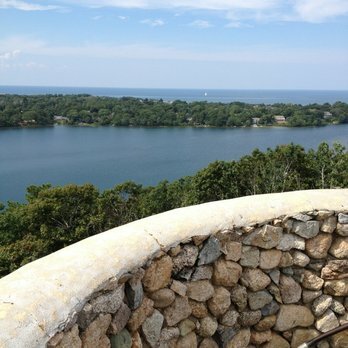 Martha Murray Vacation Rentals manages over 300 cape cod vacation rentals, 280 of which are specifically in the Dennis area. View our inventory of East Dennis Rentals, South Dennis Rentals, West Dennis Rentals, and Dennis Port Rentals or search our entire inventory of Dennis or Cape Cod Rentals below. Dennis, named an All American Town in 1978, combines its traditional New England heritage with modern day conveniences. The villages of East Dennis, Dennis and South Dennis feature scenic historic districts hailing back to whaling days, while tranquil tree –lined streets meander through Dennis Port and West Dennis. Sixteen inviting beaches lie on the warm waters of Nantucket Sound to the south and on the crisp refreshing waters of Cape Cod Bay to the north. Numerous recreation trails offer healthful relaxation, and well developed business districts throughout the villages provide ample goods and services. The town of Dennis spans the width of Cape Cod, with Cape Cod Bay to the north, Brewster to the northeast, Harwich to the southeast, Nantucket Sound to the south and Yarmouth to the west. The town is about 78 miles southeast of Boston. All the public beaches in Dennis are owned by the town. 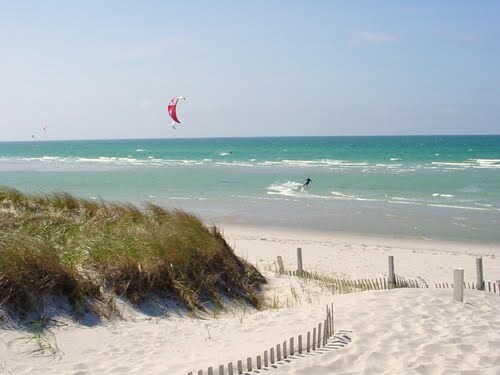 The Northside beaches are located on Cape Cod Bay, while the Southside beaches are located on Nantucket Sound. The Northside beaches are Corporation Beach, Mayflower Beach, Bayview Beach, Cold Storage, Sea Street Beach, Chapin Beach and Harborview Beach. The Southside beaches are Glendon Beach, Haigis Beach, Inman Road Beach, Raycroft Beach, Metcalfe Memorial Beach, West Dennis Beach, South Village Beach and Sea Street Beach. For a complete list of all the Dennis Beaches and what they have to offer, please visit: Dennis Beaches. In addition to the beaches, there are several key recreation areas of the town. Johnny Kelley Recreation area in South Dennis provides a hiking/jogging trail, an exercise trail, a Braille trail, playing courts and fields, playground and picnic area. The Nobscussetts Conservation Area provides easy hiking trails and views along the protected shores of Bass River. Popular children’s playgrounds are found at the Baker School in West Dennis, at the West Dennis Community Building, and at the village green in Dennis Port. Popular Dennis Golf Courses will include Dennis Pines and Dennis Highlands.